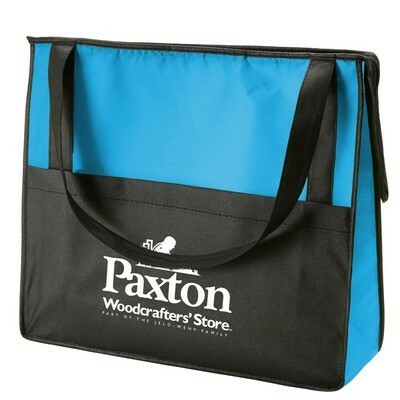 This Prescott Non-Woven Zipper Tote is Made Of 80 Gram Non-Woven, Coated Water-Resistant Polypropylene. 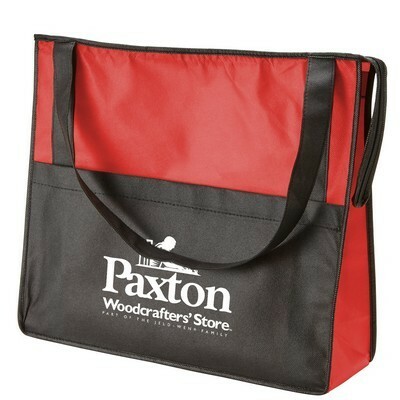 Insert your company details to create impressive Custom Logo Products. Imprint Size - Back: 9" H x 9"
Imprint Area - Front : 4" H x 9"
This Prescott Non-Woven Zipper Tote is constructed using 80 GSM non-woven polypropylene and features a two-tone design. Your logo will pop on a black background bordered by bold-colored side panels. 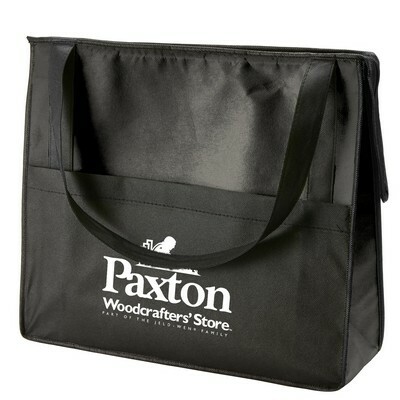 Keep pens, a cell phone and other accessories in the front slip pocket for those long days on the Trade show floor. Our stylish wholesale totes are sure to get your company the recognition you seek.